Home » Why analyzer performance leads to great productivity. Video from Euro Mine Expo 2016. Why analyzer performance leads to great productivity. Video from Euro Mine Expo 2016. 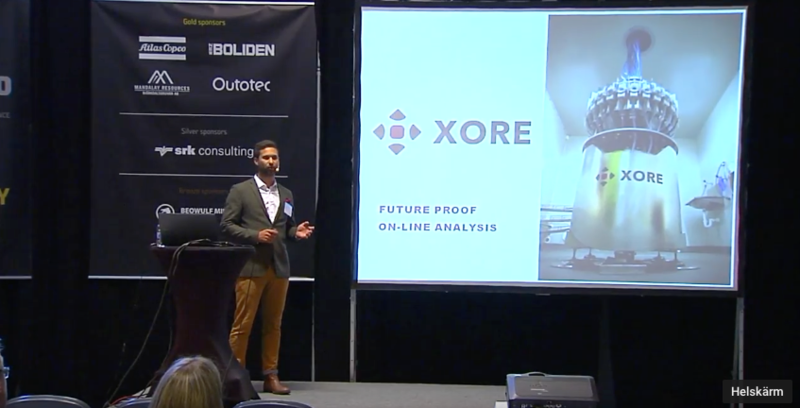 Xore’s CEO talks about Boxray analyzers and analyzer performance in general. A concentrator plant benefits from accurate data delivered on time. This is true today but will become even more so in the future. Mining companies are now looking at future implementations of semi or fully automated process control, choosing a Boxray analyzer is a future-proof solution. An example is given where it is illustrated how the Boxray analyzers, up to 2-3 times faster than competing systems, have a clear advantage. It is also explained how to calculate what speed is required for e.g. a flotation tank or other processing equipment. This entry was posted in Boxray 24, Boxray Compact, Xore. Bookmark the permalink.